Over the last three years, Notre Dames Department of History has won more research fellowships from the American Council of Learned Societies (ACLS) than any other university in the country and, in fact, has accumulated 20 external fellowships over that time period, more than a dozen of which are from agencies used by the National Research Council (NRC) to assess the strength of humanities departments. 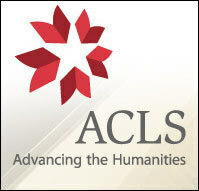 Ahead of all other Top 25 research universities, Notre Dames history department has earned six ACLS fellowships since 2005, compared with four for Brown University; three each for Harvard, Yale and Vanderbilt Universities; two each for Stanford, Princeton and Northwestern Universities; and one for Columbia University. I think my colleagues have been so successful because they bring an unusual combination of erudition, originality and ambition to their work,said Thomas Noble, professor and chair of history and a past recipient of National Endowment for the Humanities (NEH) and Fulbright fellowships. This years ACLS honorees are planning academic leaves to immerse themselves in their research. John Van Engen, Notre Dames Andrew V. Tackes Professor of History, is working on a major reinterpretation of the intellectual and cultural life of 12th century Europe.He also is the recipient of a 2008 NEH research fellowship. An associate professor of history, Alexander Martin is concluding a decade of research with a book titledEnlightened Absolutism and Urban Modernity in Moscow, 1763-1881. It deals with the efforts by the ruling elites of tsarist Russia to make Moscow a showcase for the type of authoritarian, Western-oriented modernization that they hoped to replicate throughout Russia,Martin explained. One of the striking things about the departments fellowship record is that faculty who are studying diverse topics with different methodologies have won the awards,said John McGreevy, I.A. OShaughnessy Dean of the College of Arts and Letters and former department chair.And the pattern over the last few years with multiple ACLS awards per year has been extraordinary. One of the nations leading centers for historical study, Notre Dames history department is home to a faculty that has doubled in size over the last 15 years.Recently, its historians also have won numerous NEH fellowships, a Guggenheim fellowship, major grants from the Hoover Institution and Spencer, Mellon and Earhart Foundations, and a fellowship from the American Academy in Rome. Books written with such support have garnered a number of awards, including the Bancroft Prize in American History and the American Historical Associations James A. Rawley Prize in Atlantic History. Pierpaolo Polzonetti, an assistant professor of liberal studies at Notre Dame, also received an ACLS fellowship this year, bringing to four the universitys total for 2008. Evidence that many of Notre Dames leading scholars delight in spending the present living in the past. Originally published by Shannon Chapla at newsinfo.nd.edu on August 27, 2008.